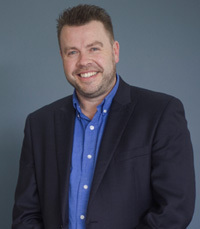 Brett Ryan is CEO of "Focus on the Family Australia", a global Christian ministry dedicated to helping families thrive. They provide a variety of presentations for all life stages. All topics in the following training sessions are presented using evidence-based research in a fun, interactive way with time for Q&A. Healthy Next Generation - Friday 9th March at 7.30 PM. Keeping the Spark Alive - Saturday 10th March at 9.00 AM - 11.30 AM. Each session is FREE. Please register your interest below.